Top Rated Local® is pleased to announce that New Leaf Tree Service is an award winner for tree care companies in 2019. For a skilled and certified tree care company in Mount Pleasant, look no further than this award-winner! New Leaf Tree Service has received many overwhelmingly positive reviews across multiple verified sites with an average rating of 4.80 stars, earning them an impressive Rating Score™ of 93.00 and a 2019 Top Rated Local award for ranking as one of the top 10 tree care companies in South Carolina! “I’m impressed! Everybody has been so PROFESSIONAL and detail-oriented. They were here right when they said they would be and had a large crew to get things done. Everybody worked hard, and they beat the rain! They left my yard cleaner than when they started and make paying easy ([they accept] credit cards, online payments, personal checks and cash). [I] will definitely be recommending them to family and friends.” – B.L. It is because of excellent reviews like this that New Leaf Tree Service is now able to call themselves a Top Rated Local award winner! We were excited to learn all about how New Leaf Tree Service has been able to build such an impressive reputation, so we sat down with the Vice President, Jessica Pares. The first thing we wanted to know was what it is that makes New Leaf Tree Service stand apart from their local competitors. We learned that New Leaf Tree Service is dedicated to building a company on excellence, starting with the foundations of being fully licensed and insured. 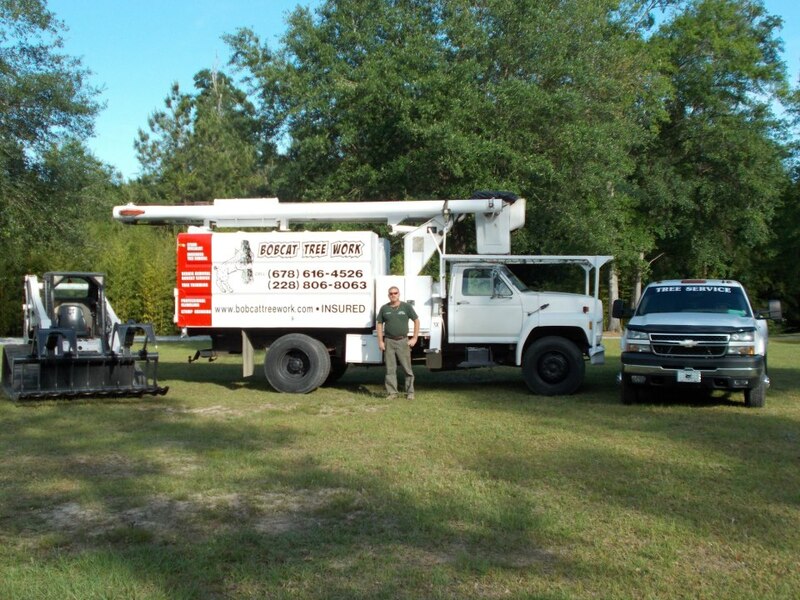 Their crew is trained by the international society of arboriculture, and they provide their staff with general insurance and workers comp, even though it is not required that they do so. They also have lawn-friendly equipment, so they don’t leave marks on the lawns they work on. In learning about some of these foundational practices, we were eager to hear more about the company’s mission. Jessica told us that their responsibility is to the trees, and that for every tree they remove from a yard, they make a donation to the Arbor Day Foundation (a non-profit that promotes tree planting). New Leaf Tree Service has managed to create an impressive reputation, so we were excited to learn more about some of their marketing strategies. We learned that this is one company that has learned the value of getting their name out there! Online, they try to cover all of their bases, which spans across Google, Home Advisor, Angie’s List, Yelp, and social media platforms, like Facebook and Instagram. Offline, they utilize direct mail, door knockers, and a referral program. With a reputation as pristine as theirs, it came as no surprise to us that the bulk of their business has come to them through referrals and repeat business. Congratulations to New Leaf Tree Service for being a 2019 Top Rated Local award winner, and special thanks to Jessica for taking the time to speak with us! Top Rated Local® is pleased to announce that Tim’s Tree Service is a 2019 award winner for tree care companies in Kansas! 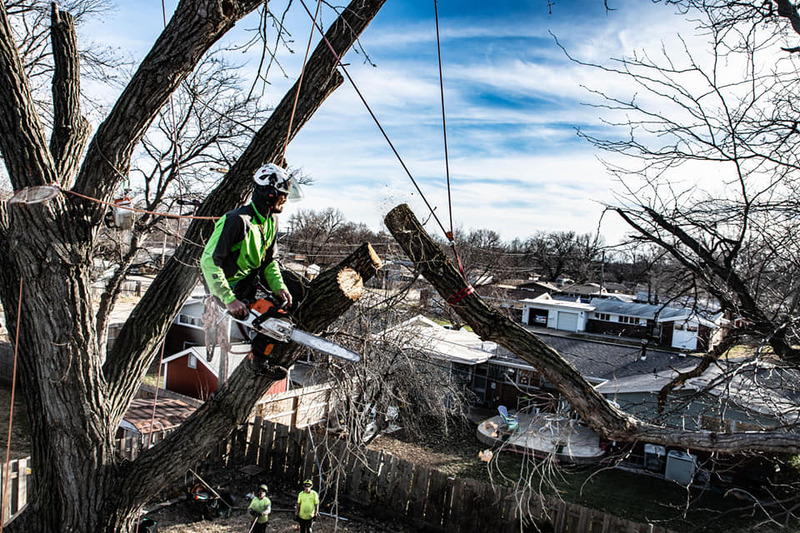 From tree trimming to stump removal, Tim’s Tree Service in Lawrence has what it takes to meet all of your tree care needs. Tim’s Tree Service has received dozens of reviews on four verified sites with an average rating of 5.00 stars, earning them a phenomenal Rating Score™ of 93.10 and a 2019 Top Rated Local award for ranking among the top 10 tree care companies in all of Kansas! “After a storm toppled a 20-foot Bradford Pear tree and damaged the fence in our backyard, we needed someone to cut up and remove the tree. The first tree service we called was way too expensive, and it took all day to get someone to come by for a quote. We called Tim, and he was at our house in 10 minutes and quoted a fair price. He also gave us some free tips on our other trees and seemed very knowledgeable. The next day, the tree was gone. [They offer] great service at a fair price.” – Sarah G.
Tim Wiebelhaus, the owner of Tim’s Tree Service, generously gave us a few minutes of his time to tell us about his one-of-a-kind business and its incredible online reputation. Tim told us that he started trimming trees around seven to eight years ago, and that around three or four years ago, he started expanding his services to yards. He went on to tell us that he does some pro bono work for elderly people and people who are struggling. Tim attributes Tim’s Tree Service’s strong online reputation to his commitment to ensuring that their customers are happy. Outside of building a powerful online reputation, Tim’s Tree Service has spread the word about who they are and what they do by knocking on doors, their website, Facebook and Instagram. Congratulations to the team at Tim’s Tree Service for being a 2019 Top Rated Local award winner, and thank you so much, Tim, for taking the time to speak with us! We highly recommend Tim’s Tree Service in Lawrence. Visit their website today! Top Rated Local® is pleased to announce that Bobcat Tree Work is an award winner for tree care companies in 2019. If you are looking for a tree care company that values honesty and exceptional service, look no further than this award-winning company! Bobcat Tree Work has received many overwhelmingly positive reviews across multiple verified sites with an average rating of 4.90 stars, earning them an impressive Rating Score™ of 93.00 and a 2019 Top Rated Local award for ranking as one of the top 10 tree care companies in Mississippi! “[They are] hard-working guys, [and are] very professional in [their] quality of work and appearance. [They were] quick and safe, [and had] the best prices I found after weeks of searching! I’ve used then twice! [There was] a really bad tree that hung over my neighbor’s property, [and they] had to use a climber and no large equipment. [They] cleaned up mine and my neighbor’s yards afterward, and were done by lunchtime. Great job, guys!” – S.H. It is because of excellent reviews like this that Bobcat Tree Work is now able to call themselves a Top Rated Local award winner! We were excited to learn all about how Bobcat Tree Work has been able to build such an impressive reputation, so we sat down with the owner, Joey Wilson. Congratulations to Bobcat Tree Work for being a 2019 Top Rated Local award winner, and special thanks to Joey for taking the time to speak with us! 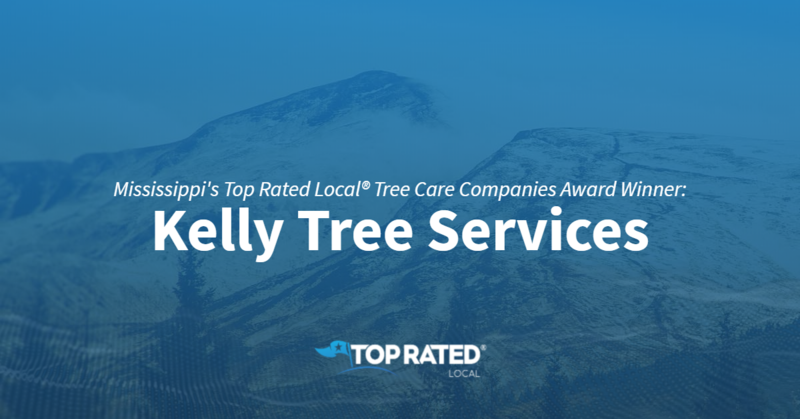 Top Rated Local® is pleased to announce that Kelly Tree Services is a 2019 award winner for tree care companies in Mississippi! For all of your tree care needs in Okolona, there’s no better company to turn to than Kelly Tree Services. Kelly Tree Services has received dozens of reviews on multiple verified sites with an average rating of 5.00 stars, earning them a tremendous Rating Score™ of 92.00 and a 2019 Top Rated Local award for ranking among the top 10 tree care companies in all of Mississippi! 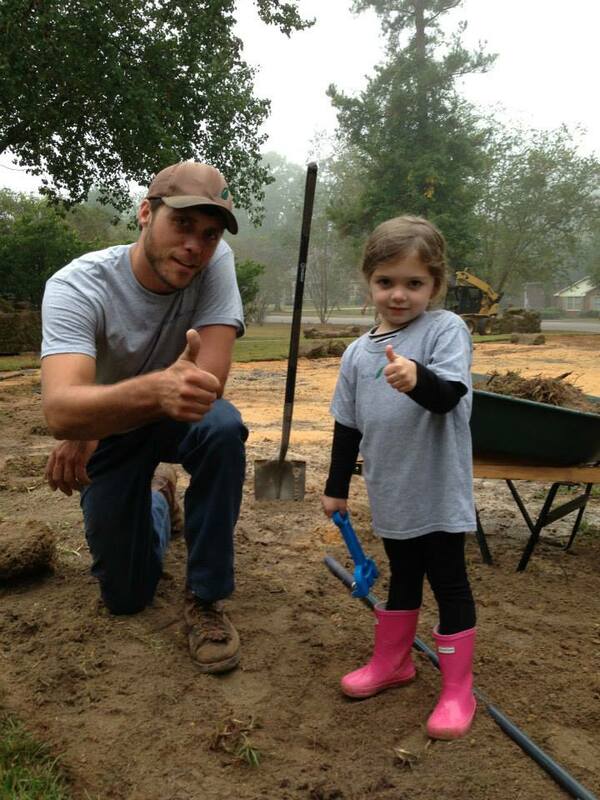 “[I] can’t begin to tell you how pleased we are with all the work you did in our yard! It looks like a park now instead of a jungle. Thank you for all of your hard work! You guys are the real deal, and we would highly recommend you to anyone.” – Penny M.
Kelly Farned, the owner of Kelly Tree Services, generously gave us a few minutes of his time to tell us about his award-winning business and its spectacular online reputation. He went on to tell us that he educates and advises his customers on their options instead of telling them what to do, and that they use state-of-the-art equipment and machinery that allows them easier access and helps them to preserve the client’s property. Kelly has experience in plumbing and general building, but trees are one of the more difficult problems that people deal with every day, and he just likes helping people, so he got into the business because this is where he found the most demand for his skills. Outside of building a powerful online reputation, Kelly Tree Services has gotten their name out there by building relationships, through word of mouth and by getting out in neighborhoods to help people out. Congratulations to the team at Kelly Tree Services for being a 2019 Top Rated Local award winner, and thank you so much, Kelly, for taking the time to speak with us! We highly recommend Kelly Tree Services in Okolona. Visit their website today! Top Rated Local® is pleased to announce that Matt’s Tree Service is an award winner for tree care companies in 2019. If you are looking for a tree care company in Stratford, look no further than this award-winning company! Matt’s Tree Service has received many overwhelmingly positive reviews across three different verified sites with an average rating of 5.00 stars, earning them an impressive Rating Score™ of 97.00 and two 2019 Top Rated Local award for ranking as one of the top 100 businesses and the number one tree care company in South Dakota! “Matt and his crew did a fantastic job. [There were] no marks on the lawn; all the twigs and small branches were meticulously cleaned up. It took me a minute to realize a tree used to be there at all.” – T.B. It is because of excellent reviews like this that Matt’s Tree Service is now able to call themselves a Top Rated Local award winner! We were excited to learn all about how Matt’s Tree Service has been able to build such an impressive reputation, so we sat down with the owner, Matt Swearingen. With as impressive a reputation as Matt’s Tree Service has, it is no wonder word of mouth has been their primary source for new clients. In fact, Matt tells us they really don’t invest in any other kind of marketing! Congratulations to Matt’s Tree Service for being a 2019 Top Rated Local award winner, and special thanks to Matt for taking the time to speak with us! Top Rated Local® is pleased to announce that Mike’s Tree Service is not only the number one tree care company in Virginia, but one of the top 100 businesses in the state overall! 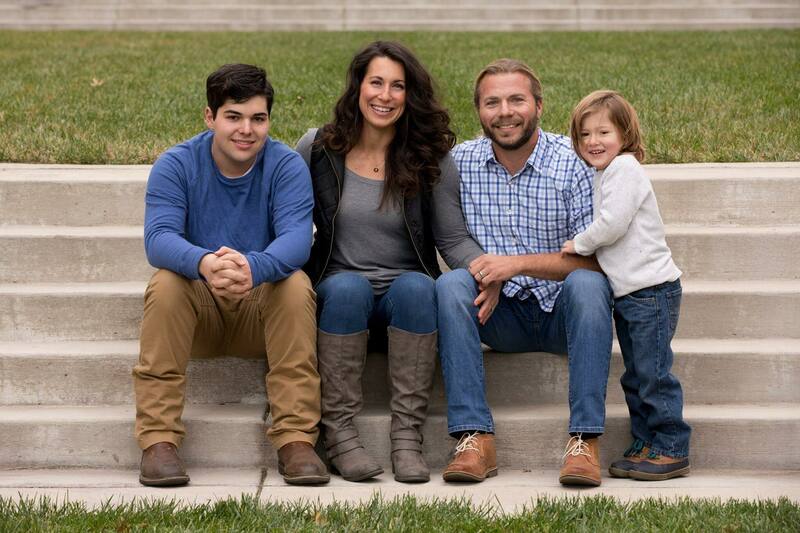 Megan Watts, the Senior Manager of Mike’s Tree Service, took some time to speak with us about the business’ remarkable online reputation. The Mike’s Tree Service team is incredibly dedicated to being responsible stewards of the environment. That’s why they work hard to keep trees safe and healthy and recycle all of their materials. 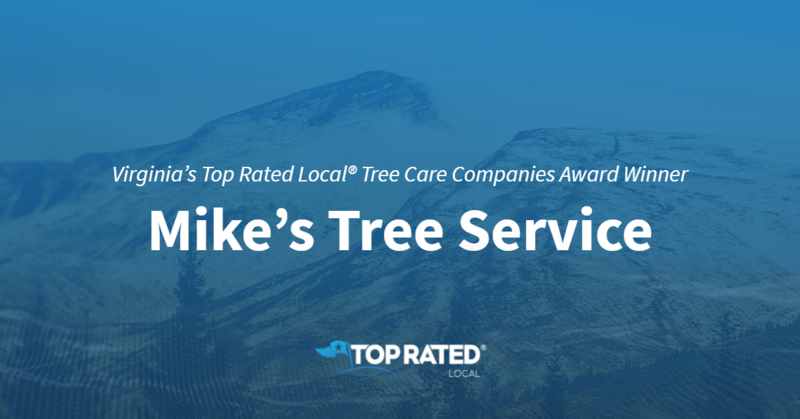 Congratulations to the team at Mike’s Tree Service for being a 2019 Top Rated Local award winner, and thank you so much, Megan, for taking the time to speak with us! Top Rated Local® is pleased to announce that Wichita Tree Care is a 2019 award winner for tree care companies in Kansas! 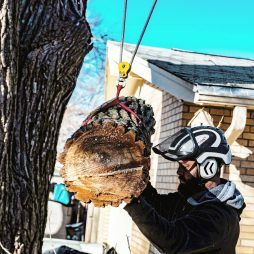 From tree trimming to tree removal and stump grinding, Wichita Tree Care is there for you in all of your tree care needs. Wichita Tree Service has received dozens of reviews on three verified sites with an average rating of 4.82 stars, earning them an outstanding Rating Score™ of 94.21 and a 2019 Top Rated Local award for ranking among the top 10 tree care companies in all of Kansas! “I highly recommend this company. They came out and did a VERY good job when they said it would be done and for the quoted price. It was a big project involving many trees, and they cleaned up remarkably after the work was done. My yard is densely populated with big trees and mature landscape shrubbery. There was no damage to any of my plants, even though they took down some heavy timber from way up high. Their workers were energetic, professional and courteous. In addition, I am impressed by how much they care for the wildlife that they encounter in the trees being worked on. I will use them next time I need help.” – Dale G.
Robert Phillips, the owner of Wichita Tree Care, was kind enough to give us a few minutes of his time to tell us about his one-of-a-kind business and its impressive online reputation. Outside of building a powerful online reputation, Wichita Tree Care has gotten their name out there through Home Advisor, an ad in the phonebook, the Better Business Bureau, Facebook and Instagram. Congratulations to the team at Wichita Tree Care for being a 2019 Top Rated Local award winner, and thank you so much, Robert, for taking the time to speak with us! For all of your tree care needs, we highly recommend Wichita Tree Care. Visit their website today! Top Rated Local® is pleased to announce that Blue Sky Tree Service is an award winner for tree care companies in 2019. For all your tree removal needs in Columbia, South Carolina, look no further than this award-winning company! Blue Sky Tree Service has received many overwhelmingly positive reviews across a variety of verified sites with an average rating of 5.00 stars, earning them an impressive Rating Score™ of 94.00 and a 2019 Top Rated Local award for ranking as one of the top 10 tree care companies in South Carolina! “They came to our house again yesterday as we have used their services now for several years. Yesterday, they cut down some trees and trimmed others. They did just what we agreed they would and cleaned up afterward so that you could not tell that they had been in our yard. [They were] very thorough and professional. [They] always gets back in touch with me promptly when I call. [They are] just nice folks, too!” – Donna L.
It is because of excellent reviews like this that Blue Sky Tree Service is now able to call themselves a Top Rated Local award winner! We were excited to learn all about how Blue Sky Tree Service has been able to build such an impressive reputation, so we sat down with the owner, William Andrews Mcangus. The first thing we wanted to know was what it is that makes Blue Sky Tree Service stand apart from their local competitors. William says that his company’s commitment to proficiency and safety are what make them stand out from the crowd. This commitment helps Blue Sky Tree Service to work towards their company mission, which William describes as providing customers with quality service and keeping their projects safe for the community. There are many businesses out there that are looking to build as impressive a reputation as Blue Sky Tree Service has managed to. We asked if William could share any expert advice to these companies. His advice to them was to provide good quality work and to always treat others well. 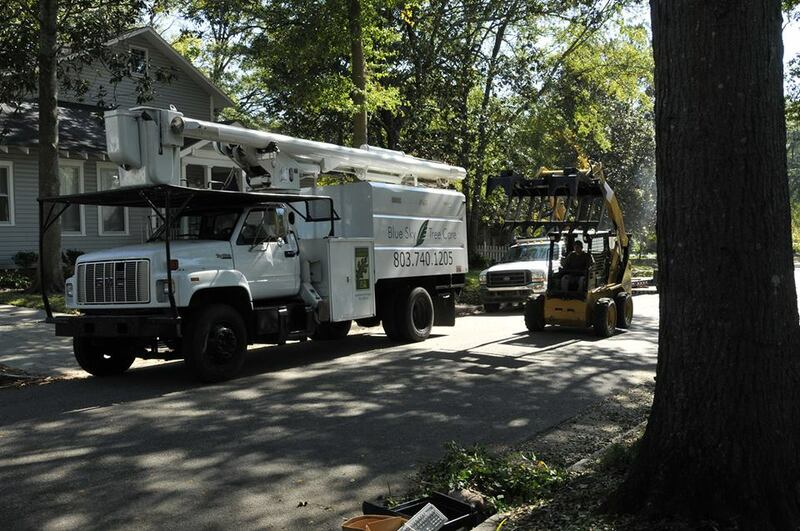 “[They are] the most reliable and knowledgeable when it comes to cutting trees and getting them down safely! Very happy with their work and their clean up! 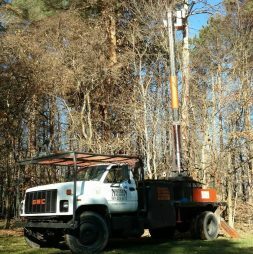 [I] highly recommend them to anyone needing trees removed!” – Heather M.
Congratulations to Blue Sky Tree Service for being a 2019 Top Rated Local award winner, and special thanks to William for taking the time to speak with us! Top Rated Local® is pleased to announce that Northern Tree Service and Landscaping is a 2019 award winner for tree care companies in Michigan! When you need tree care in Saginaw, you need the expertise of Northern Tree Service and Landscaping. Northern Tree Service and Landscaping has received dozens of reviews on four verified sites with an average rating of 4.77 stars, earning them a phenomenal Rating Score™ of 96.68 and a 2019 Top Rated Local award for ranking among the top 10 tree care companies in all of Michigan! “We want to thank Chris and his team for coming over today and cutting three trees. You and your crew did an amazing job and far exceeded our expectations. We would definitely recommend them to anyone!” – Ana D.
In order to learn a little more about Northern Tree Service and Landscaping and its impressive online reputation, we took a few minutes to talk with the owner, Chris Trudell. 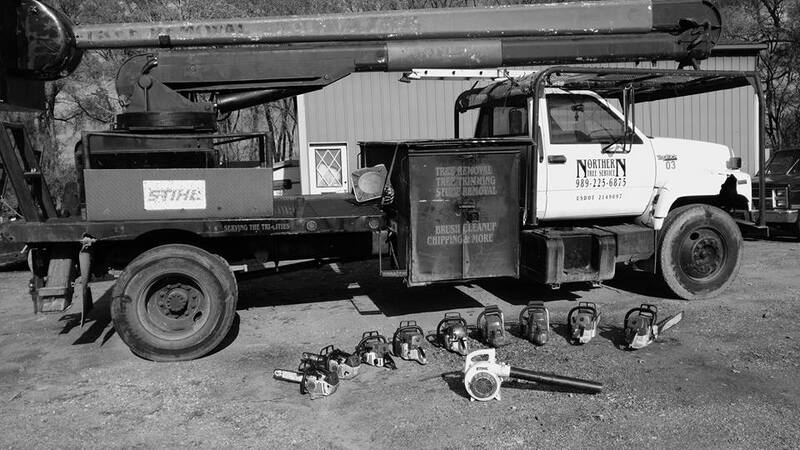 The first thing we wanted to know was what sets Northern Tree Service and Landscaping apart from their competition in Michigan, to which Chris points to their dependability and reliability. Outside of building a powerful online reputation, Chris has spread the word about Northern Tree Service and Landscaping through their vehicles, which are branded with the business name. Congratulations to the team at Northern Tree Service and Landscaping for being a 2019 Top Rated Local award winner, and thank you so much, Chris, for taking the time to speak with us! For all of your tree care needs in Saginaw, we highly recommend Northern Tree Service and Landscaping. Top Rated Local® is pleased to announce that Lou’s Cutting Edge Tree Service is the number one tree care company in Michigan for 2019! “We could not have been more satisfied with Lou’s service! Lou and his crew were VERY professional! Lou replied to our request right away and was cutting our fallen tree down the same day. He had our large tree cleaned up and out of the way in less than two hours! I would highly recommend Lou’s Cutting Edge Tree Service to anyone needing a professional job done quickly!” -Tricia C.
That’s just one of the many outstanding reviews Lou’s Cutting Edge Tree Service that has helped Lou’s Cutting Edge Tree Service to receive a 92.77 Rating Score™, a 4.79 average star rating, and a 2019 Top Rated Local award! Lou himself took some time to chat with our team about his business’ phenomenal online reputation. 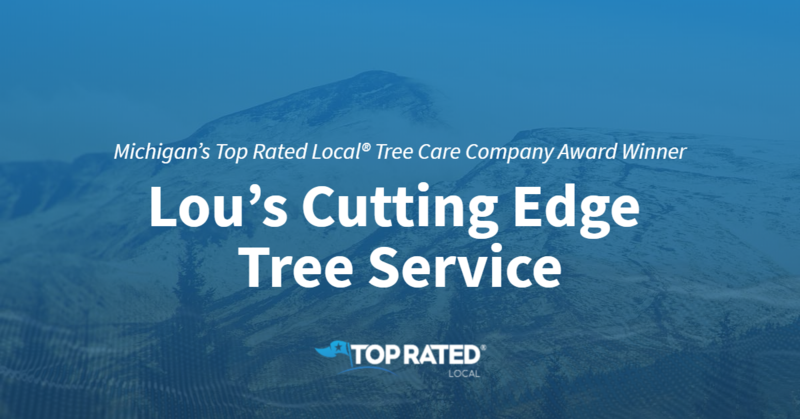 Congratulations to the team at Lou’s Cutting Edge Tree Service for being a 2019 Top Rated Local award winner, and thank you so much, Lou, for taking the time to speak with us!